At Matomo, we understand that time is hard to find in your busy day-to-day schedule and often taking full advantage of your web analytics platform can feel like a daunting task. However, the Matomo On-Premise Support Subscriptions are designed to help relieve the load and we are here to assist you every step of the way. 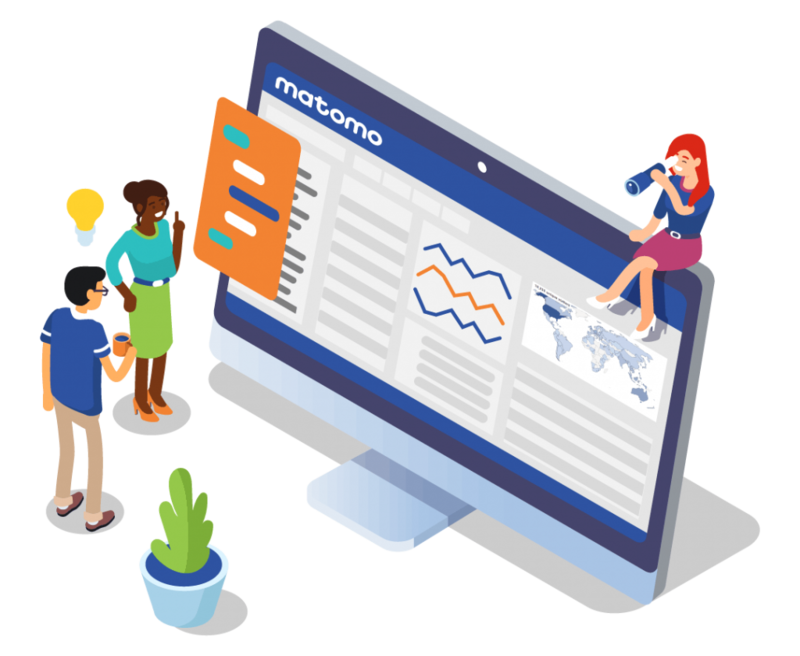 With a Matomo On-Premise Support Subscription, let our experienced team assist you online in utilising Matomo Analytics to grow your business. 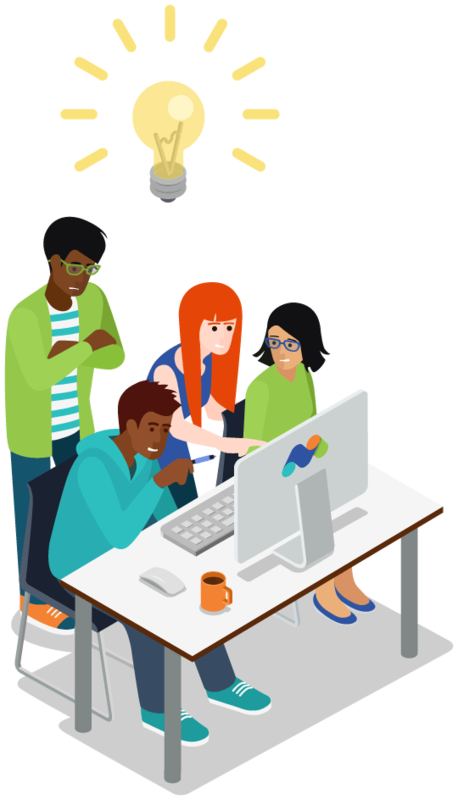 Our Support plans provide you expert email support and guidance for installation, configuration and optimization of Matomo on your infrastructure, as well as troubleshooting and resolving specific issues resulting from the use of Matomo Analytics. Want a custom Matomo Support Subscription to meet your needs of 100+ million websites hits per month? Contact us directly. "Thanks to the Matomo team for all your help and support! 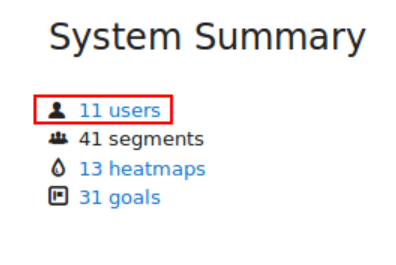 This tight integration makes all the new reporting features on our roadmap possible. We must admit that we are quite proud that Pimcore is currently the only content and user experience management system with a Matomo core integration." How does the onboarding questionnaire and meeting work? To learn about your requirements and goals with analytics, and help your business be successful with Matomo On-Premise, we will invite you to fill in our onboarding questionnaire. A one-off onboarding meeting will be offered so one of our Matomo experts can review your questionnaire answers and go over key points together. Note that filling in our onboarding questionnaire and attending the one-off onboarding meeting are optional (free) services which you can skip if you prefer. What is in scope for the Matomo On-Premise Support Subscriptions? Quality, friendly email support by the people who make Matomo. Help setting up Matomo and keeping it running on your own infrastructure. Help upgrading Matomo to the latest release. Help in understanding specific features in Matomo. Help in using all features of Matomo such as tracking pages, custom events, storing custom dimensions, tracking objectives and funnels, creating segments, tracking forms and media players, and much more. Access to User guides, FAQs, and our detailed Matomo On-Premise PDF technical guides. Integration of Matomo into your corporate infrastructure (for example via LDAP or SAML authentication). Answering your questions about specific details of procedures, such as discussing available features, options and limitations. Working with the Matomo software engineering team to isolate, document, and find circumventions for reported software defects. Addressing any concerns with documentation by providing you with additional examples if necessary, or an explanation of concepts that require clarification. A broad overview of hardware tuning, Matomo configuration enhancements for achieving optimal performance and scalability. Clarification of any apparent discrepancies in data displayed in reports. What is out of scope for Matomo On-Premise Support Subscriptions? Alterations or revisions to the Matomo software made by the customer. For operating systems, third-party applications and custom Matomo plugins, we will be able to convey any knowledge that we have, but we are unable to provide support for another vendor’s software. Adding features to Matomo. Many great features in Matomo came from users and customers suggestions. If you have an idea for a valuable new feature, our team will make sure we try our best to understand exactly what your needs are and what the feature would do. However, we can’t make promises. How do I choose the right Support plan for my business? If you track less than 1 million website actions per month: get any plan. If you track 10M website actions per month or more: get the “Up to 10M hits” or “Up to 100M hits” plan. If you track between 10M-100M actions per month, get the “Up to 100M hits” plan. If you track between 100M and 1 billion actions per month or if you have any other requirements or needs, please contact us to discuss a custom Enterprise plan. Best effort is made to resolve problems as quickly and as efficiently as possible. All questions and problems reported to the technical support team will initially be handled by a support engineer who will work with you to identify and solve your reported issue. Due to the complex nature of software development and operating environments, we cannot guarantee the time it will take to resolve a problem. In addition, our response times may be affected if you fail to provide requested information. We reserve the right to request that you upgrade to the current version of Matomo, in order to resolve a known problem or technical issue. What is the target response time for all issues? We aim to resolve your issue on the first response when possible. Our target response time varies from less than three business days (“Up to 1M hits” and “Up to 10M hits” plans) to less than two business days (“Up to 100M hits” plan). Over the last 12 months, our average response time has been under one business day. Can I get a discount on the Premium Plugins Bundle if I have a Support Subscription? Yes! We offer all Support Subscription customers a 10% discount on the Matomo Premium Plugin Bundle. Session Recording lets you record all activities on a page of a real visitor such as clicks, mouse movements, scrolls, window resizes, page changes, and form interactions. You can then replay these interactions in a video to see exactly how a visitor interacted with your website. Custom Reports lets you create any report you need combining dimensions and metrics to ensure that you can always quickly get the exact information you need. A/B Testing Platform lets you experiment and optimise your websites, apps and marketing campaigns by running A/B tests running increase your conversions. Form Analytics gives you the insights you need to make your forms better at converting your users. See where and when do visitors leave your forms. Media Analytics gives powerful insights into how your audience watches your videos and listens to your audio. Conversion Funnels help you understand where your visitors drop off so you can increase your conversions, sales and revenue with your existing traffic. Multi Channel Conversion Attribution gives a clear understanding of how much credit to attribute to each of your marketing channels, so you can shift your marketing efforts and spends wisely. User Flow is a visual representation of the most popular paths your users took through your website or app. Get more insights by analysing those paths and where along in the path they exited your site. Audit log shows all user activities happening in your analytics platform for better security and problem diagnostics. Search Engine Keywords Performance makes visible – into your Referrers reports – all your keywords searched by your users on search engines like Google, Bing and Yahoo. The ultimate solution to ‘Keyword not defined’. Roll-Up Reporting lets you aggregate data from multiple websites, mobile apps and shops into one (or more) Roll-Up site to gain new insights and save time. SAML integration lets your users connect to Matomo with any Identity Provider such as OneLogin, Okta, Ping Identity, ADFS, Google, Salesforce, SharePoint. White Label lets you resell Matomo to your customers and gives them access to their analytics reports with your custom brand. How do I choose the right Premium Features Bundle for my business? InnoCraft are the creators and makers of Matomo. Our team of Matomo experts emphasise quality customer service and strive to build strong personal relationships with our customers. We help our clients get started, configure, monitor and make the most of their Matomo Analytics service. Matomo Cloud-hosted managed service: signup 30 day free trial. Premium Features such as Heatmaps, Session Recording, Search Keywords Performance, Custom Reports, A/B testing, Funnels, Users Flow, Roll-Up Reporting, White Label, Form Analytics, Media Analytics and Multi Channel Conversion Attribution. Our offices are located in New Zealand and our Matomo Cloud service is hosted in Europe. Have a question that’s not answered?